12 oz. 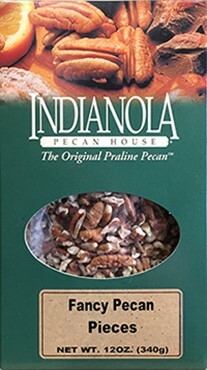 Box Southern Pecan pieces - These gourmet pecan pieces save you from chopping for your favorite recipes! Our Southern Pecan Pieces make a wonderful addition to any recipe! Try them with some of our other gourmet pecans today! !